It’s May already and I don’t even know where April went. I was thumbing through some of my piled up mail the other day and came across the April issue of Details magazine. I don’t even know if I missed it or if it just came. (The beginning stages of a new subscription can be a little tricky.) What I do know is it features on all-star lineup of men’s fragrances. 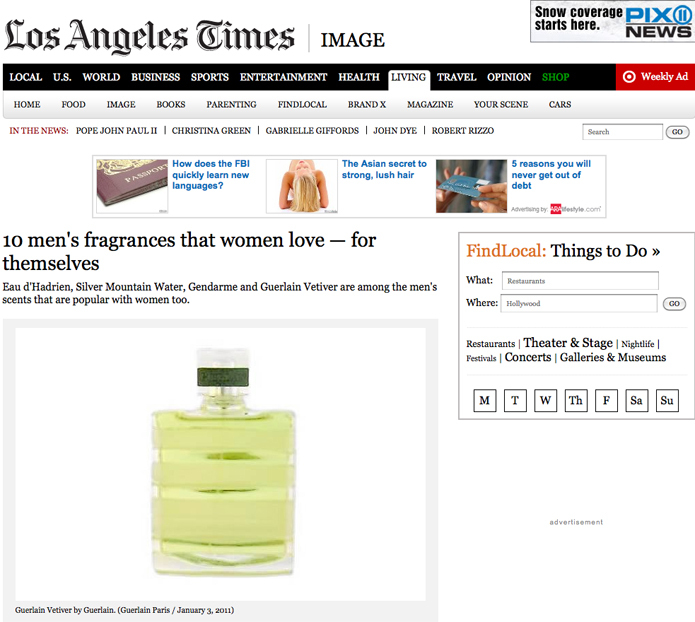 I was particularly happy to see Atelier Cologne in there. I posted about its Oolang Infini earlier this year and I’ve heard nothing but praise for Vanilla Insensee, which Details chose to feature. All of the other fragrances are worthy of your consideration. But wait, it gets better. 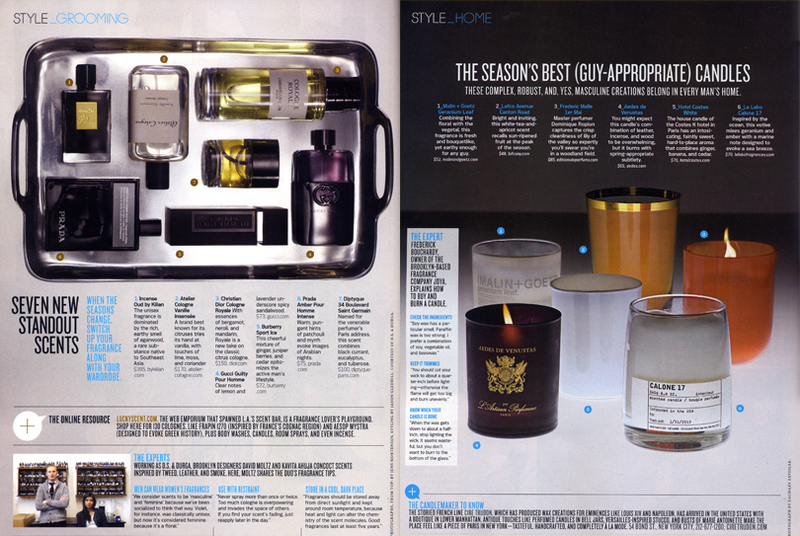 A few pages later, they bless readers with a nice selection of “guy appropriate” candles. I can’t remember ever seeing a men’s magazine this stocked with scent related stuff. Well done Details.